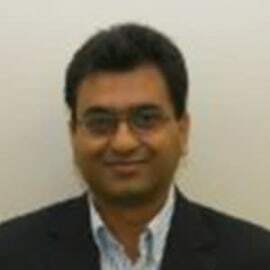 Nikhil Rodye is Vice-President of Business Development for English Canadian Market for R&D Capital Inc. He has been with the company since 2013 and has since completed 200+ structured debt financing transactions of varying complexity, leading to R&D Capital’s premier position of providing tax credit financing in the Canadian market. He is CPA as well as an engineer and brings a unique aspect that combines finance and a deep understanding of technological aspects of the company. As an angel investor in high-tech start-ups and as a witness to explosive growth in path-breaking start-ups with extremely creative entrepreneurs in the ecosystem, he remains committed to them through investment, advising and mentorship.Prior to joining R&D Capital, he led sales and management teams at top Fortune 500 companies; Cadbury’s (Russian Operations), Levi Strauss (Russia, Swiss and Central European Market) and Staples Canada.